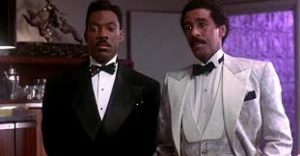 In the waning days of Prohibition, Sugar Ray (Richard Pryor) and his adopted son, Quick (Eddie Murphy), run a speakeasy called Club Sugar Ray. When gangster Bugsy Calhoune (Michael Lerner) learns that Sugar Ray’s place is pulling in more money than his own establishment, the Pitty Pat Club, he pays corrupt cop Phil Cantone (Danny Aiello) to close Club Sugar Ray down. 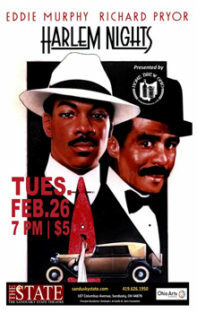 Quick doesn’t exactly help the situation when he falls for Calhoune’s gun moll, Miss Dominique La Rue (Jasmine Guy).